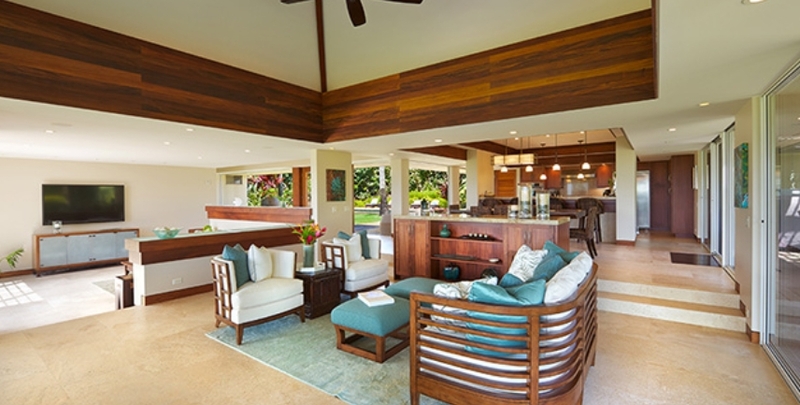 Designed by renowned Architect Gary Tobey of Design Concepts, this newly built single level home is on Kauai's beautiful North Shore. The 3 bedroom, 2.5 bath, 3,800 sq. 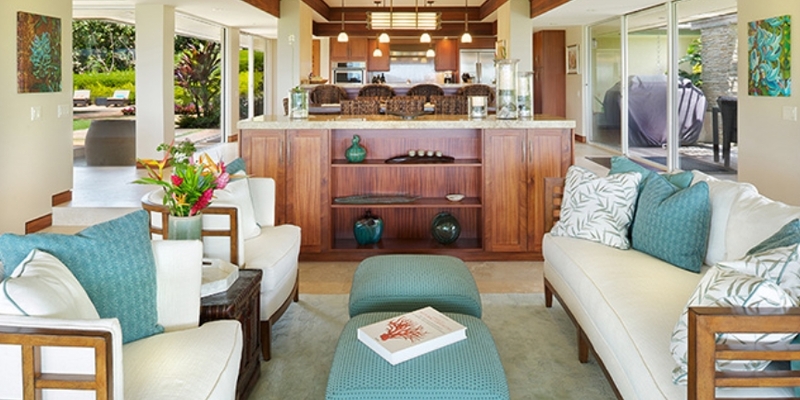 ft. home offers panoramic ocean and mountain views with extensive windows throughout. 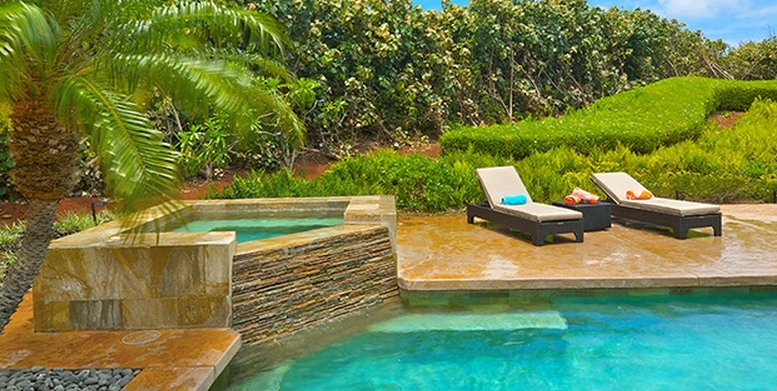 A relaxed ambiance is assured with exterior lanai's, swimming pool, and water feature/fountain entry. This home has recently been appointed with designer furnishings and a 60 inch flat screen TV in the media rm. The chef's kitchen with Stainless Appliances, Gas cook top and large prep island is a gathering place for family and friends. 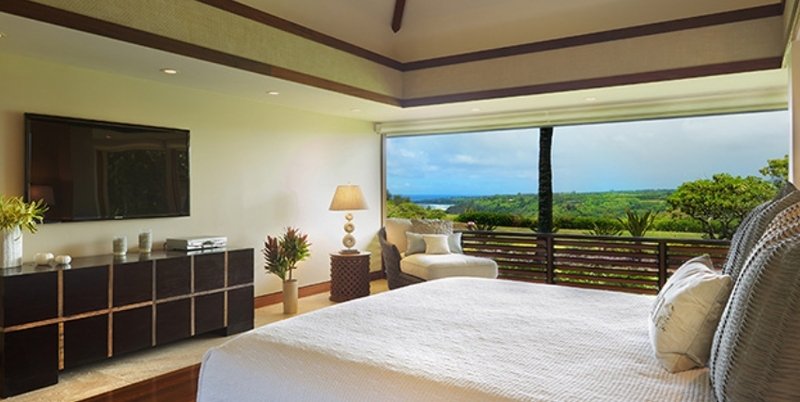 The master suite features a king size bed, an additional sitting area & 42 inch flat screen TV. 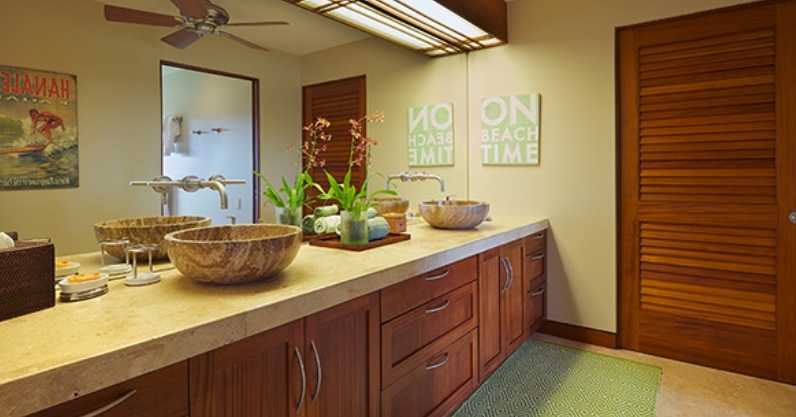 The master bath includes his and her sinks, a large tub with view & fabulous private outdoor shower. Two other suites include a king size bed in one two full size beds in the other. 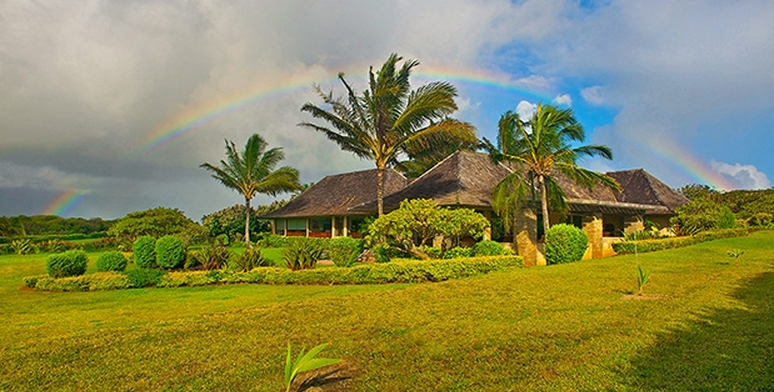 In all, the home accommodates up to 8 guests. Close to beautiful beaches, golf courses, shopping and activities.